Remaining true to yourself is about not really caring what others think. Abusers have no power over us, only what we let them have power over. We can show our strength during the most negative of times to help us stay true to ourselves and rise above the challenge. All while remaining open to learning opportunities that present themselves and grow from these experiences. Hi everyone! This video is going to be about abusers and people who make you feel down and how to rise above them to be true to yourself. In other words, how to prove abusers wrong about how they are making you feel and get back genuine feelings of how you actually are. This is a followup video about the one I did about why people bully, so I’ll have an annotation and a link in the description if you would like to check that one out. 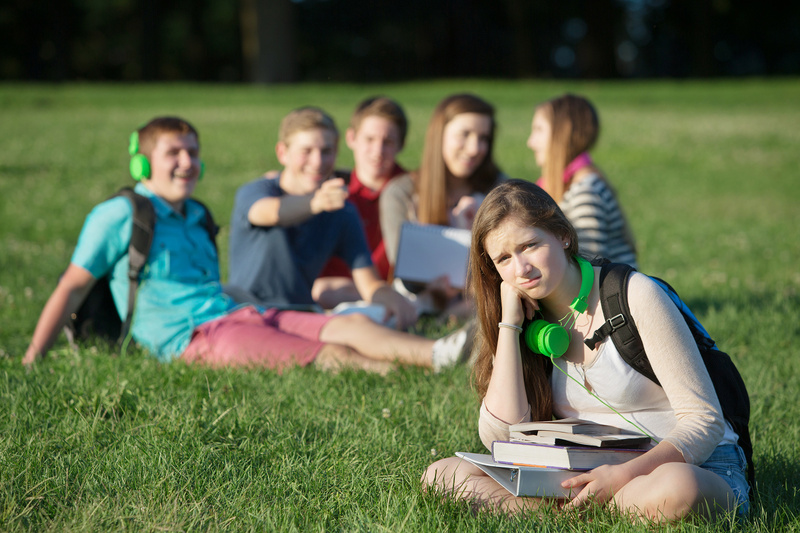 [Bullying] We’ve all been hurt by others to various degrees. 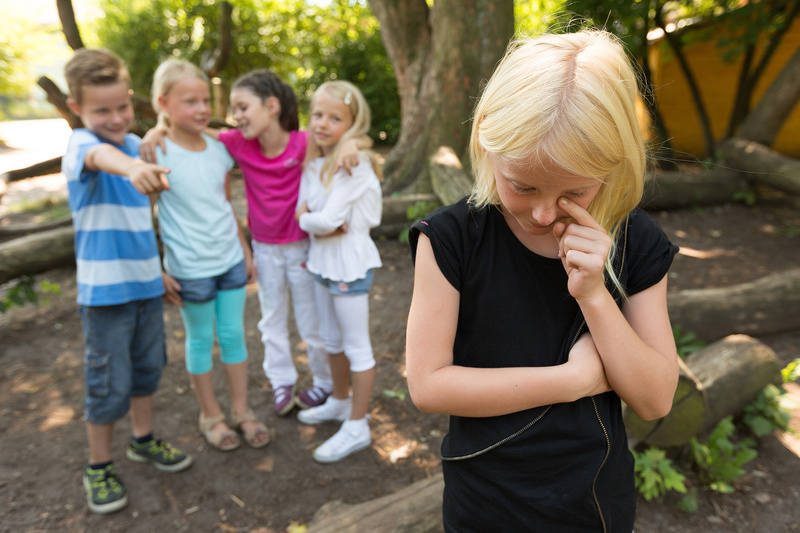 Perhaps ever since we were young we may have been bullied and picked on by other children. Others making fun of something about us, such as our appearance, as in how we look and how we dress, even making fun of our behavior and personality, things we are interested in, the list goes on. As we age, we may begin to repress certain sides of ourselves to avoid being made fun of. Something we absolutely love may have been a target for bullies to make fun of us about, so we deny it and block out our own interest, leading to us not living to our full potential. We may also feel like we just don’t belong, like we are an outcast and live in a world that is so different from us. We may have very few if any friends, and no one that can truly relate. Perhaps the friends we do have only like us for the false representation we present to them because we know that we cannot express how we truly are due to criticism. With that being the case, we know that our friends don’t actually like us for how we truly are and thus makes us feel even more alone. We know a true friend will like us for us, but when we cannot be us due to fear of criticism, abandonment, or any other fear ingrained within us, we begin to lose ourselves and then depend on what others think we are. In other words, we become what others thinks of us, and not how we truly are. Living by a third-party’s rules instead of our own. We’re so focused and worried about other people and what they think and end up neglecting ourselves as a result. Another example is someone who doesn’t like perhaps how short they are and wish to be taller. They keep thinking of the tall people and wish to be them. But, you can only be you and you cannot live a happy life until you accept yourself and how you are since there is so much about yourself that you cannot change. The reason why people may bully is often to feel better with themselves. How easy would it be for you when feeling down and filled with hatred to let it out on someone else instead of feeling bad yourself? I’m sure we’ve all done it. This is one way of coping with pain. Another is to direct it inward where we may hate ourselves and develop anxiety, depression, and negative coping mechanisms such as cutting, eating disorders, the list goes on. We let others dictate our lives and how we feel about ourselves to the point that we feel a lack of confidence, self-esteem, and self-love because we believe what others say about us and let them define who we are instead of what we genuinely believe we are. What if we could stop letting others define us and just be who we feel we should be? We would have confidence because we wouldn’t care about what others think. The lack of confidence within us exists simply because we have a fear of what others think and are hesitant to show our true self to the world. So, why don’t we now discuss how to get to a point where we can remain true to ourselves and not let others influence what we think about ourselves, and instead, prove the abusers wrong about the pain they have been inflicting on us. In order to remain true to yourself, you must first find yourself. Who are you? What do you like? What do you dislike? Go within yourself and find what makes you happy. What makes you happy has nothing to do with what makes others happy or satisfying other’s lives. It’s solely about you, your interests, and how you view the world. When we’ve lost ourselves for so long, we may find it difficult to actually know the things we like since it can seem like the only things that make us feel good are things that others have instilled within us. If you are having a difficult time finding yourself, try a quick exercise. Relax yourself and let go of what others think about you in your mind. Imagine having a life where you could do anything and no one would hold you back, make fun of you, and instead praise you and cheer you on. What is that goal you have within you? What interests do you find within yourself? There are plenty of things there. Then ask yourself why you cannot start living this right now, this very moment. Often the answer will be that you fear what others will say and think about you. At this point, you’ve found yourself and what you’re passionate about, but it’s now time to let go of what others think. You must then realize that abusers have no power over you. When we begin to think that we must please them or satisfy them to make them happy so they don’t hurt us, we have already given them too much power. Ultimately, when we give in to the abuser’s wishes, we are actually promoting their behavior. Rather, don’t give them that satisfaction. Rise above their abuse and show them that you can be a happy person, even with what they are doing to you. There is nothing an abuser wants more than for you to live a life of misery because it makes them feel better. That very misery that their life may be filled with. So, overcome and rise above them and be a success. Make them feel jealous that you can be happy even after what they’ve done to you. By not letting them have any say or power over you, your thoughts, or your actions, they will more than likely see that you simply are not worth their time and will no longer provoke you. Show them the strength you have within you. This can even be done with non-abusers as well. What about people who doubt you and say you won’t be a success because you don’t have what it takes. Perhaps you want to be a model, but your family and friends doubt you will ever be one since they say you don’t have what it takes. Being a model is your dream, and you are determined to live it. Do you listen to the doubt your family and friends are giving you, or do you show them your strength and determination? You don’t listen to their doubt and instead push through to accomplish this goal you have. That determination is admirable. And, what better feeling would it be to not only live your dream, but to show all those people who said you couldn’t do it wrong. Don’t rub it in their face, or do it for the sole reason of trying to prove them wrong, so you can feel right, but rather do it for you. Your goal is to not prove them wrong, but to do what you love. The proving others that doubted you wrong is just an extra that comes along with it to make it feel like even more of an accomplishment since everyone doubted you while you believed in yourself. Let it be a source of motivation, but not the primary source as your own happiness is the true goal. Ultimately, with abusers and people trying to bring you down, it’s a problem with them, not you. As was mentioned earlier, when people say and do things to you to bring you down, it’s to raise themselves up because they are in a bad place themselves. It’s not your fault they are the way they are, and you cannot solely blame yourself either since blaming yourself can and will cause problems for you in the future. When you take what abusers and doubters say personally, it does affect you and change your own thinking. Perhaps you are being made fun of because of how you dress. People are criticizing the clothes you love to wear, the colors you enjoy to wear, and just how you express yourself in general. When you take all that criticism personally, what happens is that you begin to do things you don’t like to please the other people so they no longer make fun of you. They may not make fun of you anymore, which is a relief for you, but you are also miserable as a result since you cannot express yourself the way you love. You feel as though you are not living to your full potential. You may blame yourself and think that the problem lies within you, that your interest in clothing, colors, and how you express yourself is wrong or flawed. The problem is actually not with you at all. Rather, it’s a problem with the people making fun of you since they feel the need to criticize you for how you express yourself. It has nothing to do with you specifically, but with how they project negativity onto others. You may not be the only one they criticize. But, it’s mostly to help themselves out. You can take what they are saying personally, but it’s not what has to define you and certainly not a problem with you. And finally, don’t miss out on important life lessons. While it’s true that you don’t need to hear another’s opinion to conclude your own, it shouldn’t be dismissed entirely. Others are here to teach us. If people keep trying to provide constructive criticism and yet we view it as negativity and don’t care about it, we may miss out on important lessons that we are to learn. Of course with people trying to bring us down and doubt us, it could be an incentive for us to get up and rise above the challenge. There are always lessons to be learned and remaining true to yourself through any decision will guide you on the path of accomplishing what you truly desire. So in conclusion, remaining true to yourself is about not really caring what others think. Abusers have no power over us, only what we let them have power over. We can show our strength during the most negative of times to help us stay true to ourselves and rise above the challenge. Feeling upset and even crying is not a sign of weakness, but rather strength and expression. All of this while remaining open to learning opportunities that present themselves and growing from these experiences. I hope this video was informative and helpful. Thanks for watching! I’ve personally had a hard time staying true to myself until I actually found myself. It was only until then that I was able to fully express the person I was without a fear of what others say. I do not have such a fear like I use to. This was when I realized that all confidence and low self-esteem issues often arise from how people think others will respond to them. When you remove ‘others’ from the equation, then it follows that one will have confidence within themselves since they are living a life they are meant to and no one is holding them back or prohibiting them from living the life they truly desire. Also, this video was so difficult to film since I didn’t really relax myself prior to recording. I was quite stressed and it showed by the number of cuts I had to make. I didn’t get my words out properly and felt on edge the entire time. But, this sort of thing happens from time to time. It’s just how it is when you’ve dealt with anxiety and are stressed out.